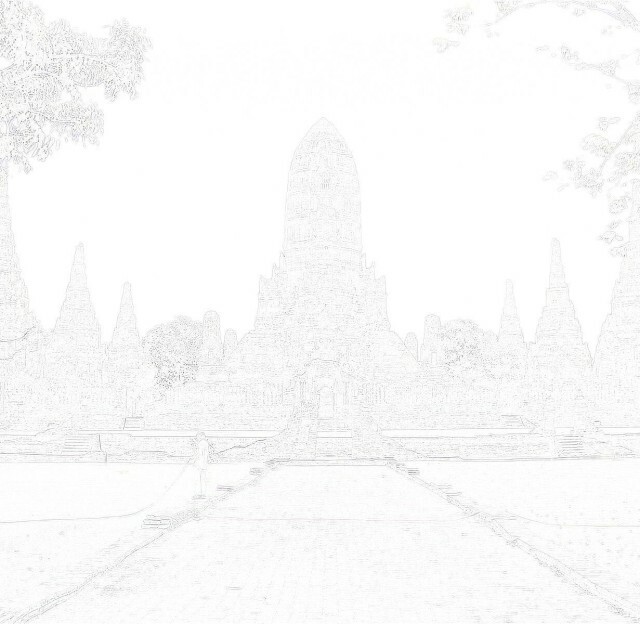 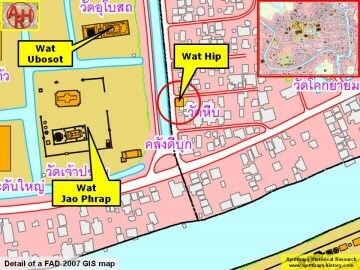 Hip on PBR's map is situated in the vicinity of Wat Pa Fuk on the 19th century map. 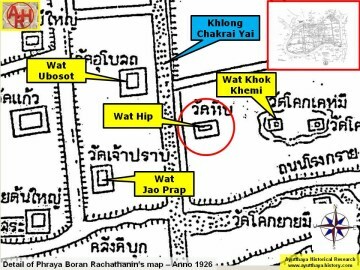 Conclusion of the above is that the location of Wat Hip on both maps does not match. 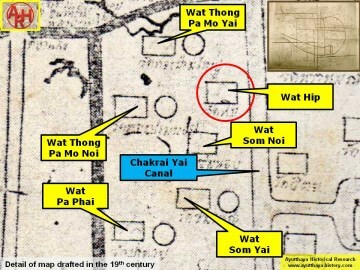 drafted in 2007, opposite Wat Jao Phrap. 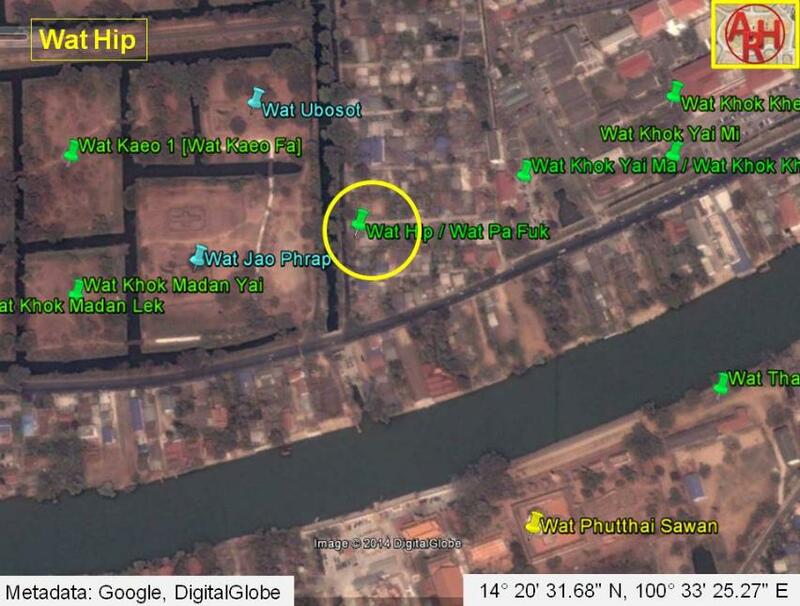 The site was located in Geo Coord: 14° 20' 31.68" N, 100° 33' 25.27" E.